Since its opening in March of 1987, it has enjoyed a remarkable success and popularity amongst the people it has accommodated from both home and abroad. From the first day of operation, the Hotel's policy has been to give the best service possible to prospective guests and keep them returning to our Hotel every year. 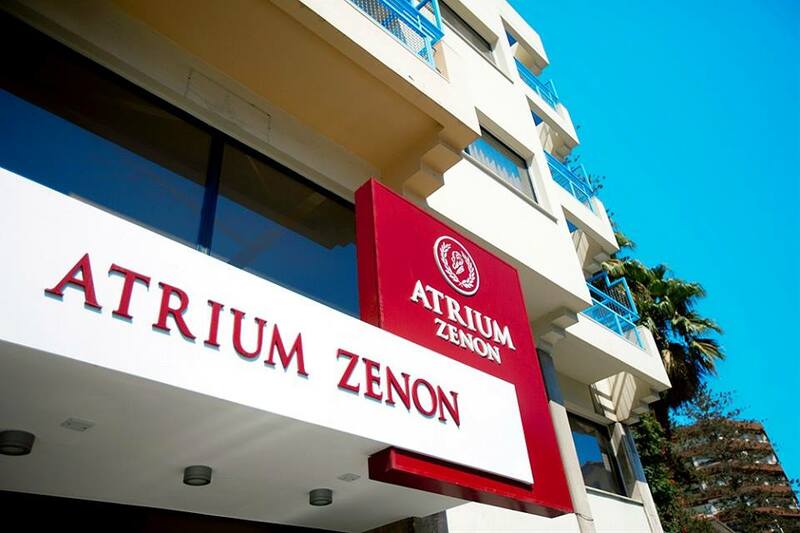 The 77 Atrium Zenon Hotel Apartments are elegantly furnished and decorated creating relaxing surroundings that satisfy our guests. We have a large area for meetings, Conferences and occasions. The Hotel's location makes it very attractive since distances from desired destinations are minimized.